KADOKAWA CORPORATION, Active Gaming Media Inc.
Yume Nikki is the kind of game that means a lot to some people, while being completely irrelevant to others. For the first group it’s an indie game released back in 2004 created with RPG Maker in which you control a girl through her dreams, filled with unsettling elements. While I didn’t play much of the game, I was familiar enough with it to be interested in this review. 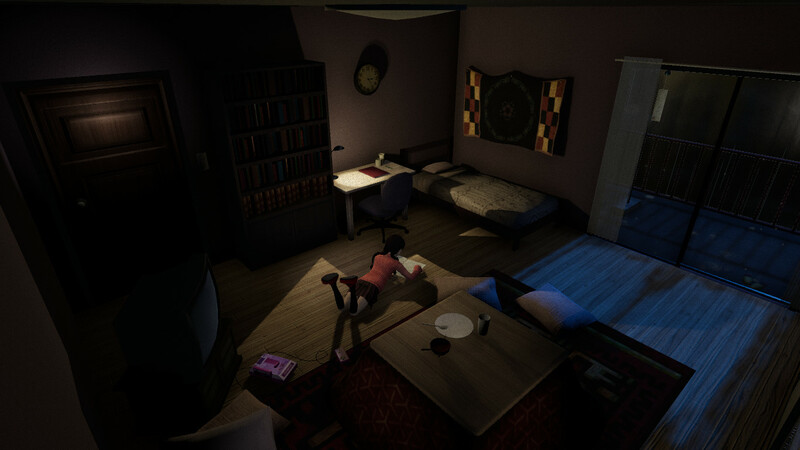 YUMENIKKI -DREAM DIARY- is not the same as Yume Nikki; it’s a reimagination of the original with 3D graphics. And while there are a couple of references and cameos from the original game, it’s still a different experience. With that in mind, my review will not take into account any previous knowledge of Yume Nikki. If that’s fine with you, then follow me into this dream. This review will be based on version 2.0 of the game which, to my understanding, fixed a couple of bugs and some gameplay elements in addition to adding a new area and new items. The story of YUMENIKKI -DREAM DIARY- starts with our protagonist walking out of a convenience store. After a couple of blocks you find a huge pool of blood on the street, and before you know it, you wake up from a nightmare, safe in your room. From this point onward you cannot go out of your room, but you can fall asleep to explore different places in your dreams. And while there are some cutscenes and a handful of NPCs in the game, there is no dialogue at all with any of them. The game will never tell you what to do, or why things happen. You are free to explore any of the seven different dreams that comprise the game. 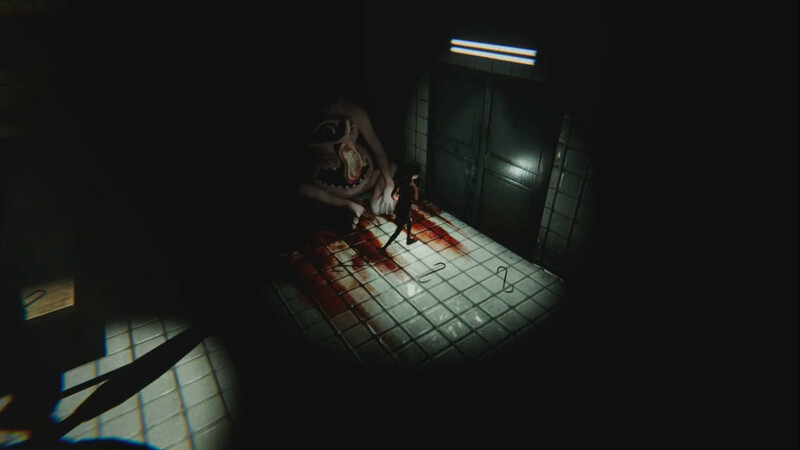 In regards to the gameplay, YUMENIKKI -DREAM DIARY– is a simple game. You can jump, move around and interact with different items. There are some enemies in the game but you cannot fight them, just avoid them. The main focus is on the exploration of the game and puzzle solving, which is done by gathering different items that are scattered through each dream. Many of the game’s puzzles require items that are found in different areas, or they require certain progression before those can be found, so at first you may feel that you’re walking aimlessly, but it all starts to make sense after a little while. In regards to the puzzles, since there is no dialogue and no help, some do feel a bit random or unusual. As an example, a puzzle near the end of the game requires you to arrange four items in a certain order, with a drawing on a wall as your only clue. I ended up looking online for the solution since it just didn’t make any sense to me. Other than that, most of the rest of the game is straightforward and can be compared to a walking simulator at times, but in general is quite entertaining and manages to keep you intrigued about where you haven’t gone yet and where you can use that new item you just found. Graphically the game looks good. Some of the scenarios are very dark and unsettling, while others are very colorful. Some areas do look a bit similar however, so it doesn’t feel like there are that many areas at times. The NPCs and enemies are very original and unsettling. The music is sorrowful and quiet. This is a game that you want to play by yourself and let the visuals and sounds immerse you, which is something that it definitely achieved. I read some reviews of the game when it launched criticizing the gameplay as far as saying that it was unplayable, but It didn’t feel that way for me. It could be due to the patch, but I don’t have any complaints in regards to controls or gameplay; it plays as it should. In regards to the legacy of Yume Nikki, as I mentioned above I didn’t play the original completely, so I can’t say if it’s disrespectful to the source material, but the basics are here. Explore different dreams, find items, use those items and so forth. When a game gains certain fame fans can have unreal expectations, but don’t let that cloud your view, just take it as a separate thing and enjoy it for what it is. It took me seven hours to complete the game with its two endings, but it can probably be done in around five. For $20 it seems a bit higher than what most of us are used to, but I still feel that if it’s the sort of game that interests you it would be money well spent. 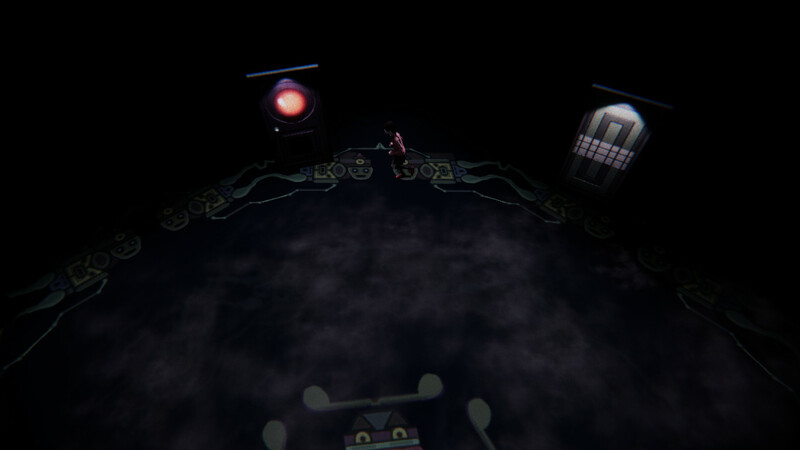 As a standalone game, YUMENIKKI -DREAM DIARY- is a fun, but short game. For me this is the type of game that you play on a Sunday afternoon after finishing a long game to play something different and unique. I’m not a huge fan of games with open narrative and this is not the type of game that I would recommend for its story, but in general if you prefer games that you can sit and analyze at the end, this is one of those.